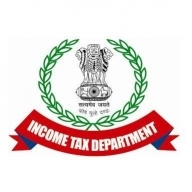 Bhopal/Indore/New Delhi, April 7 (IANS) In a major crackdown on hawala money, Income Tax Department teams on Sunday carried out raids at over 50 places in Madhya Pradesh's Indore and Bhopal and New Delhi, including the residence of Chief Minister Kamal Nath's officer on special duty (OSD) Praveen Kakkar and seized a huge amount of cash. A senior I-T department source told IANS: "About 300 I-T Department personnel from New Delhi were given the task after receiving credible information about the hawala money." The IT officials raided Kakkar's office on the sixth floor of Platinum Plaza building and his residence in Nadir Colony in Bhopal. Kakkar's house and office in Indore were also searched, sources said. Kakkar, an ex-police officer and the President's Medal recipient, had also served as OSD to former Union Minister Kanti Lal Bhuria. Similarly, the residence of NGO manager Ashwini Sharma on Platinum Plaza's fourth floor was also searched. The officials also identified luxury cars reportedly belonging to Sharma. When asked about his links with the Chief Minister and Kakkar, Sharma only said, "I'm a BJP man." It was for the first time that the IT teams were accompanied by Central Reserve Police Force troopers. The source said that the searches are linked to suspected movement of hawala money during the ongoing polls season and tax evasion. Sources said that besides Kakkar and Sharma, premises of Kamal Nath's former adviser Rajendra Miglani and executives linked to his brother-in-law's firm Moser Bayer and his nephew Ratul Puri's company were also searched. The sources said that the documents seized during the searches were being scrutinised in detail and then it will summon officials later for questioning. Official sources also said that searches were also being conducted against Kolkata-based businessman Paras Mal Lodha. Last week, Puri was questioned by the Enforcement Directorate in the national capital in connection with the Rs 3,600 crore AgustaWestland chopper deal case. The source said that the IT Department also got tips from Puri's questioning and thus planned a series of raids in the state. Commenting on Sunday's developments, Congress spokesperson K.K. Tiwari said the raids showed that government agencies were being misused for political reasons. But the top BJP leadership would not succeed in demoralising the state government, he added. "The Congress would take appropriate action at the appropriate time to deal with such misadventure. This bunch of thieves should not try to teach us political conduct," Tiwari said. Former state Minister and BJP leader Narottam Mishra alleged that "one person had earned Rs 100 crore through his 100 days in office and the Lok Sabha elections would ensure the people bid good bye to his party." However, Mishra did not reveal how he arrived at the figures mid-way through the raids.